Shun puts his bandanna back on. 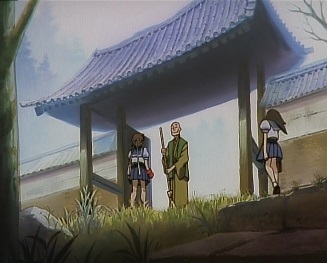 Meanwhile, Sakura and an exhausted Kei arrive at the dojo. 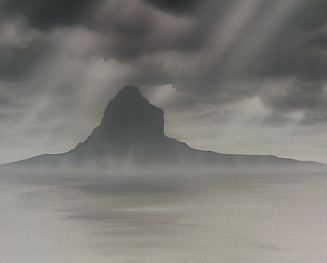 But Sakura finds out from the caretaker that the man she is looking for has just left -he and his friends went a few minutes a go, and are heading to Kabuki Town. 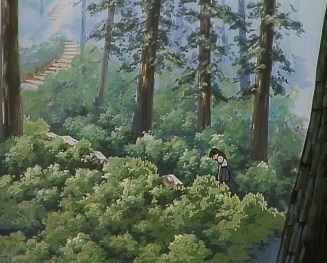 Sakura says she won't give up, and runs back the way she came. 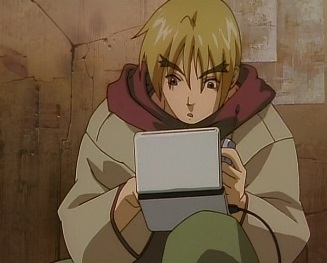 In Kabuki Town, Ken is trying to find out where the competition will take place, but the tall buildings stop him from being able to connect his laptop to the Internet. 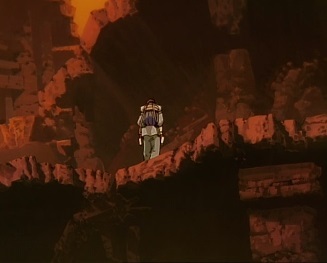 He runs off to try and find a better area, as Ryu and Shun go on without him. 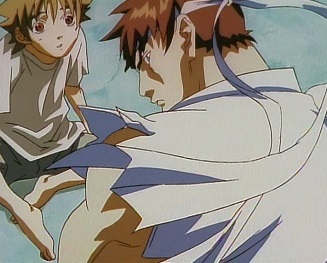 Shun asks Ryu to fight, but he says he can't right now. 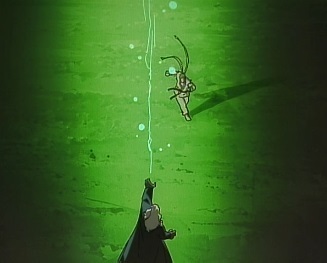 Shun really wants him to, as if you are strong, you just have to fight! 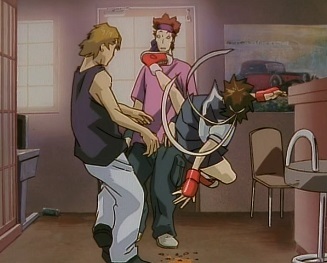 Ryu doesn't seem to agree with this, but then some guys come over. 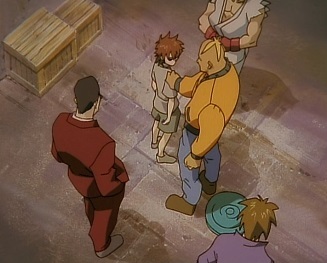 They've heard that Shun wants to fight, and aren't pleased that he just kicked over a trashcan. 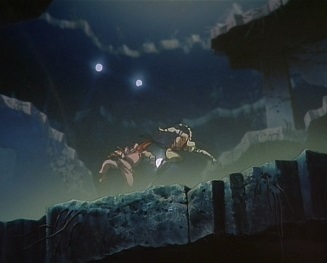 They've picked the wrong fight, as Shun immediately fights two of the guys, whilst Ryu takes the other down with ease. 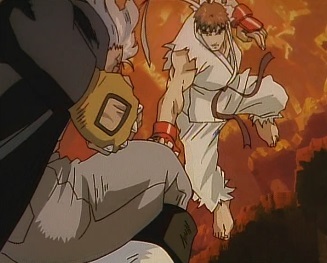 But Ryu watches as Shun continues to pound away at his opponents, and he seems to be enjoying it. 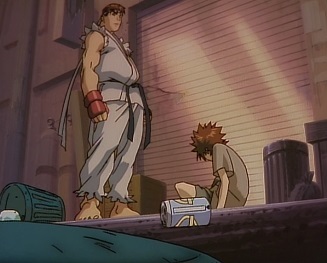 Shun walks up to one of the defeated guys, ready to start hitting him again, but Ryu steps in. He punches Shun and makes him fall down. Shun asks why, but Ryu tells him he already said. He mentioned earlier that if you are strong, you must fight. 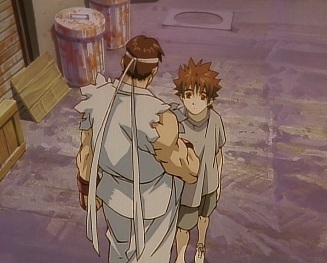 Ryu then goes into some strange speech about how he isn't strong, that's why he fights. He fights himself, against himself. 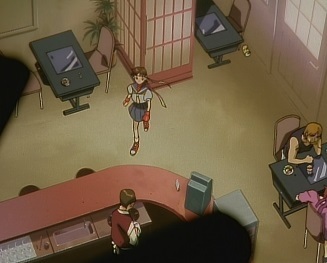 Nearby, Sakura enters a bar and asks about a tournament being held around here. The bartender thinks she's cute, whilst a couple of creepy guys say she wouldn't want to see that. She should stay here and play with them. 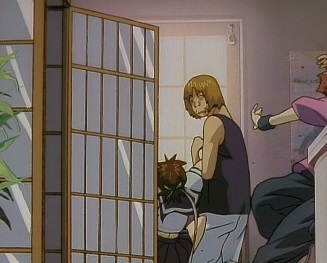 Sakura realises they don't have good intentions for her, and tries to attack them. But her jumping spin kick doesn't come out right, and misses. She crash lands. 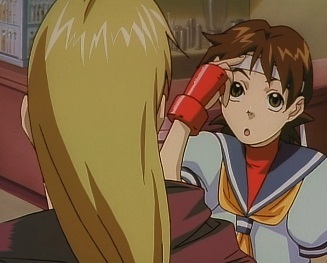 Sakura doesn't understand, as she's seen that move work before, but then the men come over and say they should play some more. They start to carry her away, but a door to a phone booth then suddenly opens and sends one of the guys flying. A kick then sends the other guy crashing into a stool. 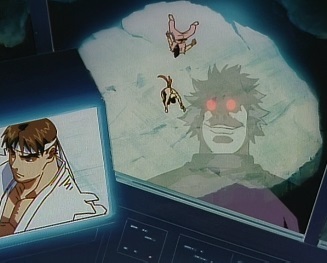 Ken has appeared, and whilst he's saved Sakura, she only finds his moves "not half bad!" 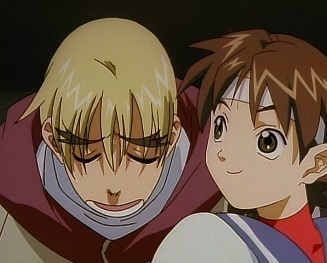 Ken is surprised by her reaction, but then she asks him if he knows a guy with a bandanna on his head, like the one she has. Ken thinks she must mean Ryu. 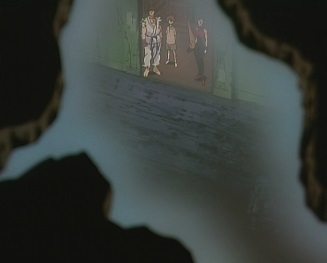 Meanwhile, Ryu and Shun happened to have met up with Chun-Li and Wallace, as the group head up an elevator. The elevator comes to a stop, and the group move out. 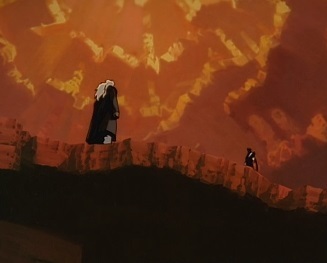 They see an arena, where a fight is happening. Vega is fighting against Dan, and is totally out of his league. 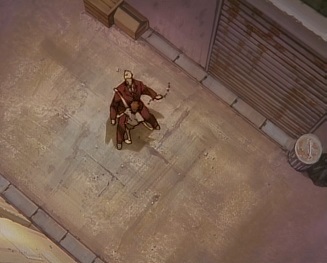 Slashing into his opponent multiple times, Vega easily defeats Dan and the crowd goes wild. 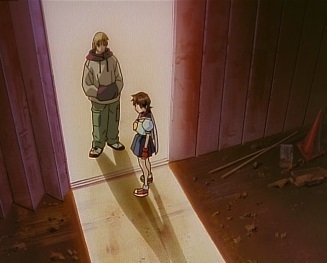 At the bottom of the building, Ken and Sakura have entered. 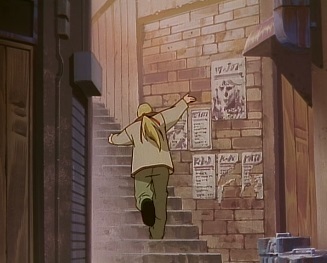 But Ken finds out that he can't take part in this competition, as the registration has closed. 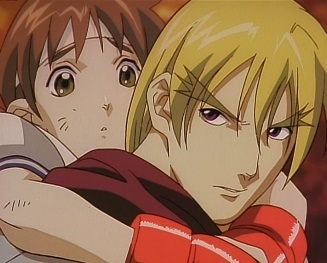 Ken can't believe it, as he came all the way to Japan for this, but Sakura thinks he should just give up. Meanwhile, Shun's first fight is about to begin. 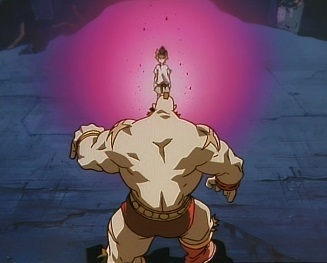 His opponent is Zangief, a huge Russian wrestler. 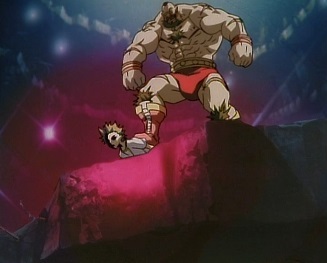 Despite his opponent being several times bigger than him, Shun lands several powerful strikes on Zangief, and then slams him to the ground. 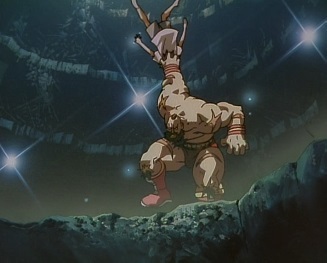 But Zangief is far from done, and smacks Shun around a bit. He eventually grabs him by his head and slams him into the ground. After a few seconds, Shun suddenly gets back up, but there is something different about him -as Ryu realises it is the dark hadou! 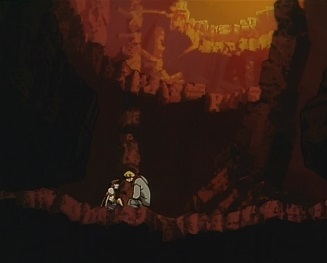 Shun screams, but this isn't enough to scare Zangief. 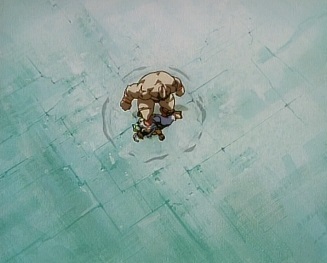 He runs forward and kicks Shun back, and then starts to crush him. 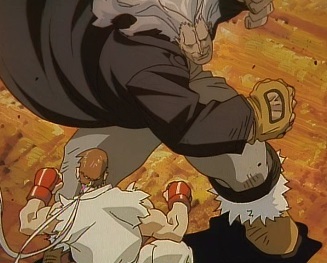 Ryu then enters the battle, kicking Zangief and making him drop Shun. 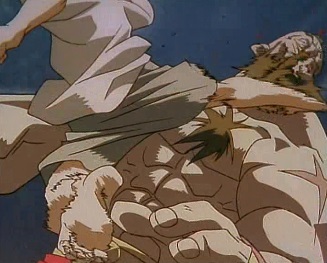 Ryu tells Shun to stop, but then he realises Zangief still needs dealing with. 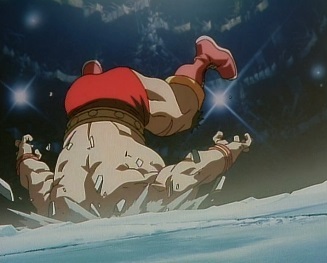 Zangief grabs Ryu and uses his spinning piledriver move on him, smashing him into the ground. 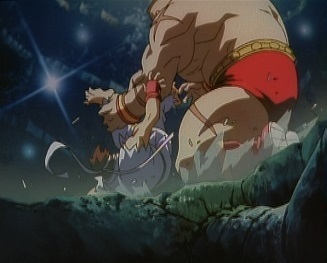 Before Ryu can get up, Zangief stomps on him. 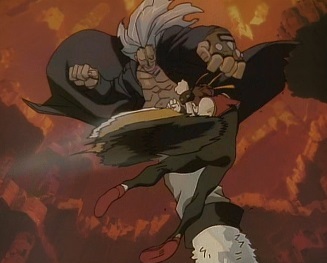 The dark hadou overcomes Shun again, but Zangief just starts stomping on him over and over again. 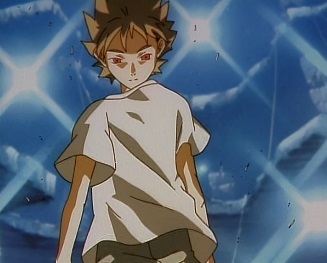 As the dark hadou possess Shun, it also takes control over Ryu, who stands back up and charges up a fireball. 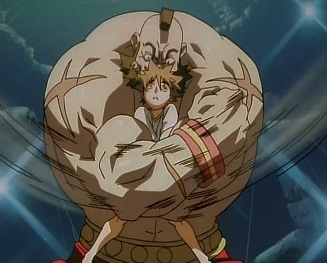 Zangief sees this and runs towards Ryu. 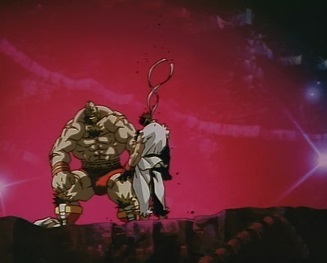 Ken tells Ryu not to do it, and as Ryu unleashes his projectile, it misses Zangief. It hits part of the building, causing several explosions and even making parts of the structure fall away. Sadler has watched everything. 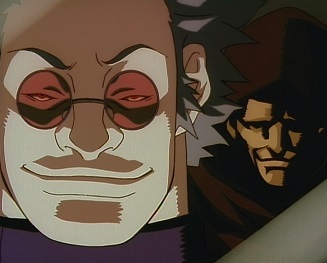 He has seen Ryu's powerful abilities, and wants them for himself. He summons his aide. Sakura has hurt herself and whilst she maintains she's fine, she can't stand. 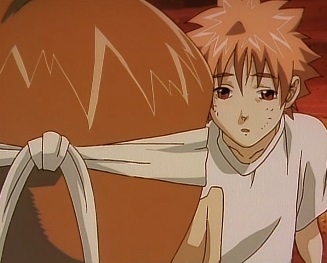 Ken finds out that she's broken her leg, and starts to carry her out. 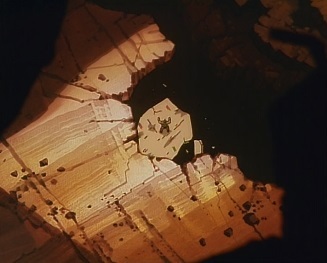 Meanwhile Zangief seems to be totally confused by what just happened, but he has a new problem when the ground he's on crumbles and he falls down a few floors. He's OK though...probably. 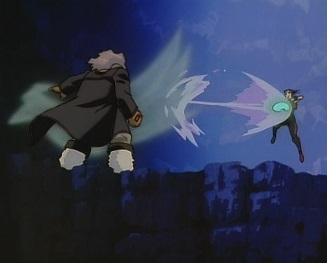 Suddenly a jet passes over Ryu and Shun, and someone jumps out of it. Ryu turns around to see a large man with long, white hair looking at him. 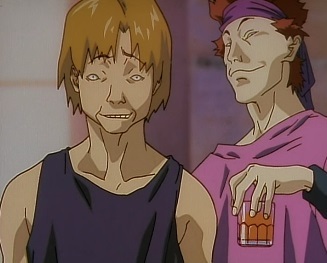 This man runs towards Ryu and instantly starts to fight with him. 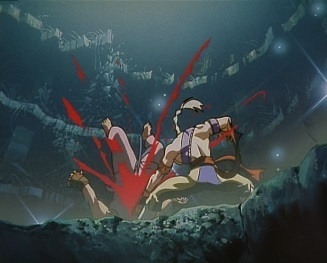 Ryu lands several powerful hits, but his opponent doesn't seem to show any signs of pain. 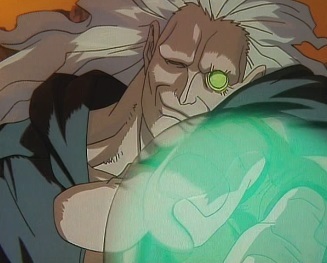 When he opens one of his eyes, he reveals that it is cybernetic. 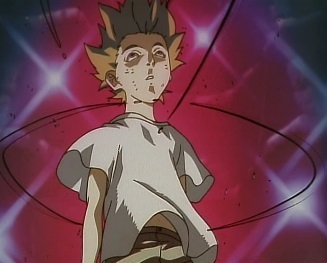 But he also reveals that he can summon and unleash projectiles. Ken sees Ryu fighting, but he decides to leave. 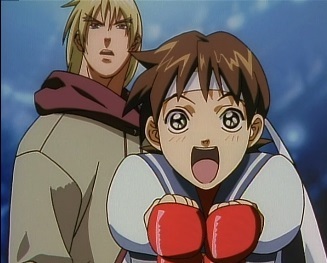 Sakura asks what he is doing, but Ken says Ryu will be alright. Besides, women come first in his book anyway. Meanwhile Chun-Li climbs up to where Ryu is and throws a kikouken at the new enemy. 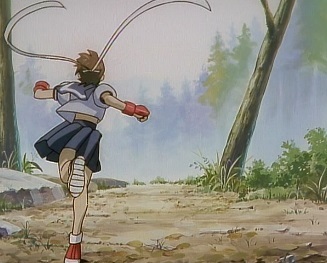 But her projectile is reflected, going back the way it came, and end sup hitting Chun-Li instead. 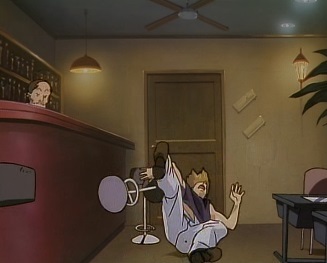 As Chun-Li gets up, the man kicks her into a wall. 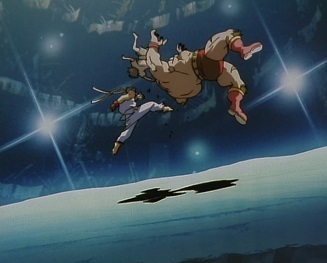 Ryu throws a hadouken at the man, but it also bounces off him. 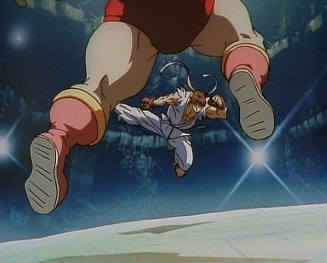 Ryu leaps back to avoid being hit. 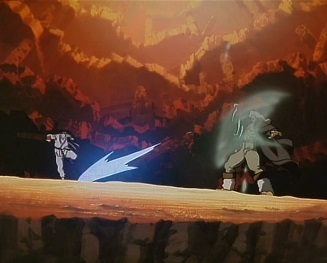 The man sends out another projectile, but Shun gets in the way to stop it. 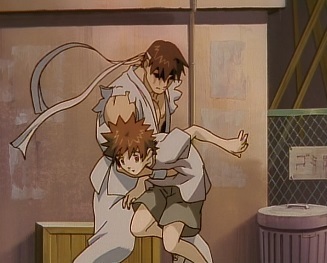 Shun passes out, but Ryu catches him as he falls. 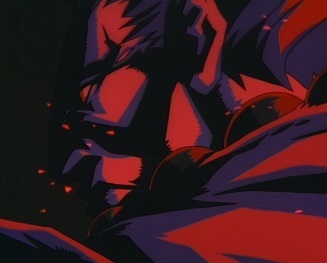 However Ryu then succumbs to the dark hadou once again. 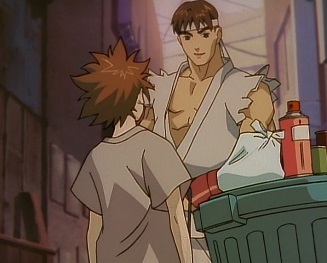 The man removes his cloak and tells Ryu he will give him a taste of that also. 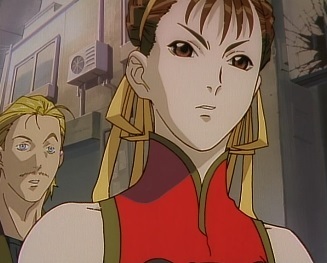 As Chun-Li works her way back towards Ryu, she notices that strange ki from earlier has returned. 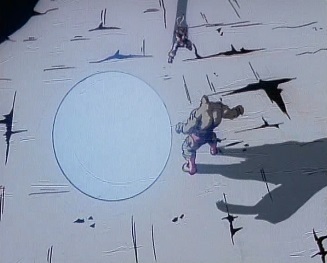 Meanwhile the man observes Ryu, as he charges up another projectile. Ryu gets right up next to the man. The man starts to use his deflection technique, but it is useless this time. 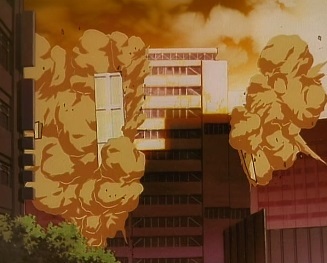 Ryu's projectile simply destroys the man, causing another large set of explosion across the building. 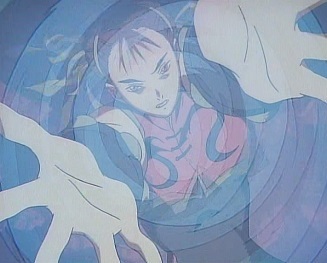 Chun-Li gets to Shun and finds that he is still alive. 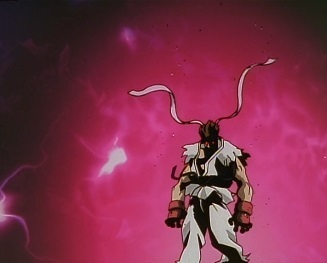 Ryu goes back to being his usual self, as he realises the power of the dark hadou. 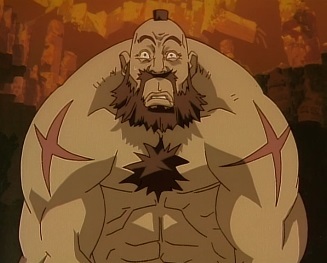 He asks himself if he is going down the same path as Akuma. 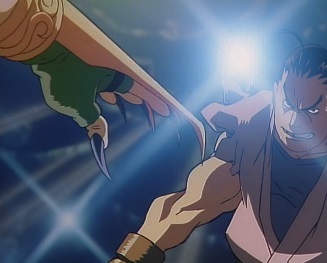 Just then, a helicopter appears, and starts shooting at Chun-Li. She has to move out of the way, letting the helicopter hover over Shun. Some men descend from the helicopter, and collect Shun. The helicopter then leaves. 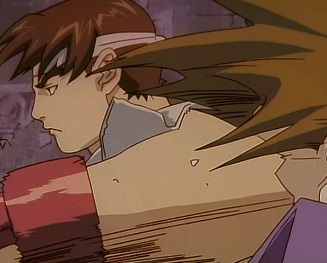 Chun-Li finds Ryu and tells him to pull himself together, as Shun is still alive. 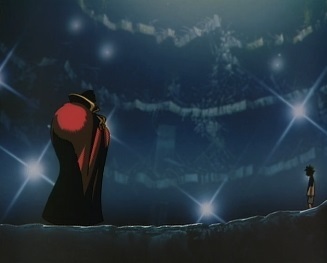 But he's long gone now, and later on, Ryu stumbles through the streets, thinking about the dark hadou. He bumps into a couple of people without saying a word, and they don't take kindly to that. 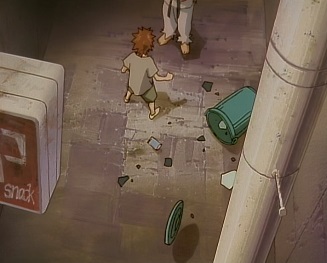 They beat Ryu up and smash a bottle over his head, and then decide to get out of there. Chun-Li then finds Ryu. 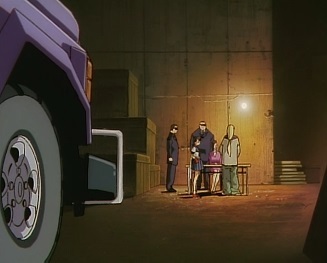 Ryu is taken back to the Interpol HQ, where Chun-Li and Wallace ask about the dark hadou. 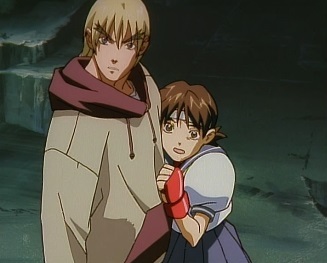 Chun-Li realises that Sadler must be after the powerful dark hadou, and since Shun could use it, it must have been why he was taken. 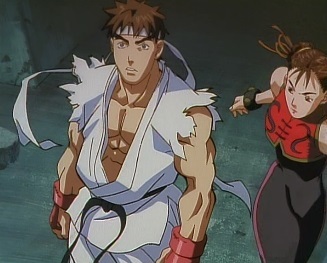 Ryu says nothing, as Chun-Li says she thinks Shun will have been taken to Sadler's lab. 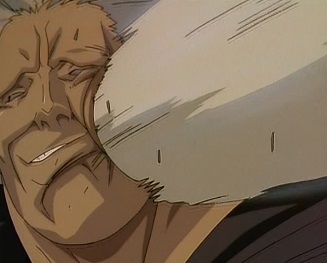 And at Sadler's lab, Shun is being put through great amounts of pain!